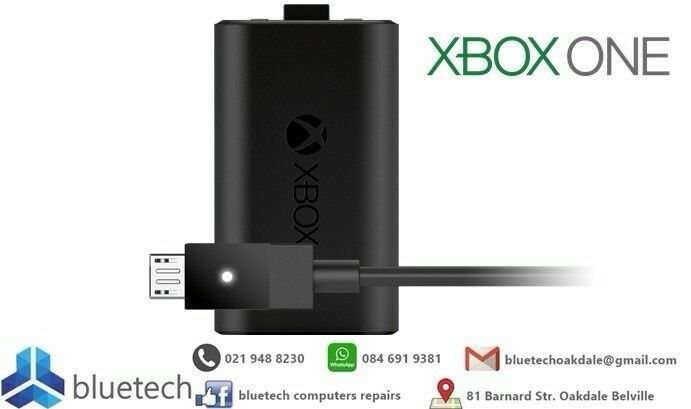 Hi, I’m interested in Xbox One Controller Rechargeable Battery Pack with USB Charging Cable. Please contact me. Thanks! • Replaces AA Batteries . • Includes 1 battery pack and 1 micro-USB charging cable. Must charge battery for 8 hours prior to first use. Optimal battery life will be achieved after 2-3 rounds of charging. The greatest game pad—now even better. The new Xbox One Wireless Controller features over 40 improvements to the award-winning Xbox 360 Wireless Controller. - Feel the action like never before with Impulse Triggers. New vibration motors in the triggers provide precise fingertip feedback bringing weapons, crashes, and jolts to life for a whole new level of gaming realism. - New expansion port with high speed data transfer enables clearer chat audio when using a compatible headset. - Newly designed D-pad is responsive to both sweeping and directional movements. - Thumb stick improvements enable better grip and accuracy. - Trigger and bumpers are designed for quicker access. Xbox one controller and headset for sale. Both in perfect working condition.